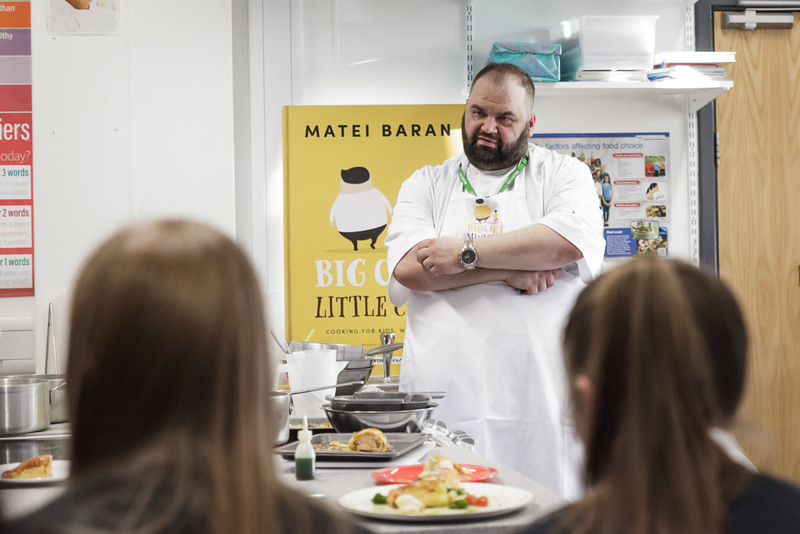 We were delighted to welcome former Masterchef: The Professionals quarter finalist Matei Baran to the school recently to cook a Masterclass to our Year 11 students studying GCSE Food Preparation and Nutrition. 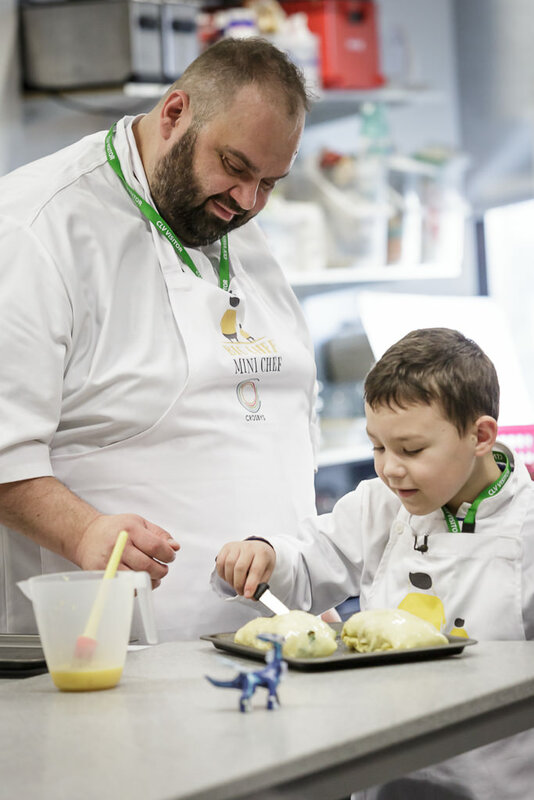 Matei – who is now head chef at a local restaurant in Tynemouth – has recently written a charity cookbook, Big Chef, Mini Chef, which features healthy recipes for children affected by Cystic Fibrosis and is supported by Cystic Fibrosis Trust. This is something close to Matei’s heart as his son, Armin, suffers from the disease. Matei was ably assisted in our kitchen by Armin, who kept our students on their toes by asking questions about their favourite foods and handing out samples to taste. 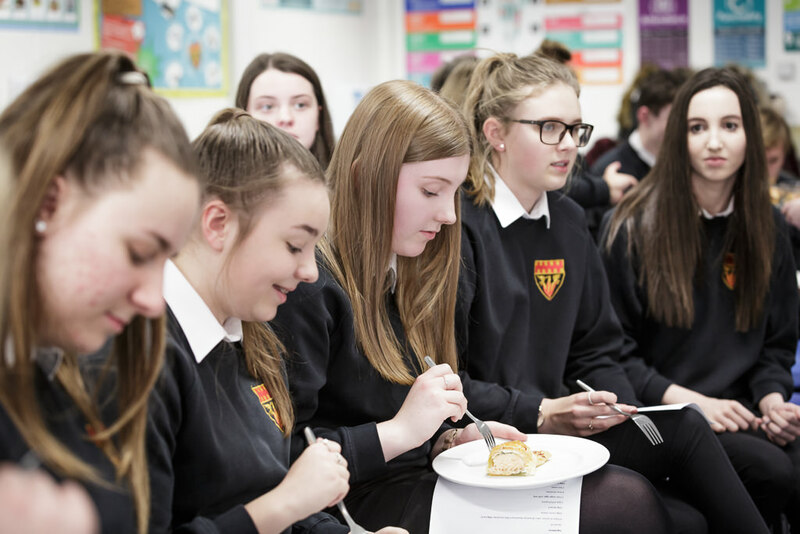 They prepared a delicious dish of salmon en croute with potatoes, broccoli and a caper and tomato salsa – which was a big hit with both students and staff. As part of their course students must demonstrate skill and professional presentation in their cooking and the advice given by Matei was fantastic with students gaining valuable insight into preparing, cooking and presenting a high quality dish which they can apply in their GCSE qualification – which requires them to prepare a three course meal. Our food students are extremely enthusiastic about their course and it was a fantastic to have a top professional chef working in our kitchen and passing on some great advice which they can apply in their important GCSE year.